Egmore, a reserved constituency, has had DMK MLAs since 1967 except in two assembly elections. In 1980, Congress came to power here, and DMDK was elected in 2011. 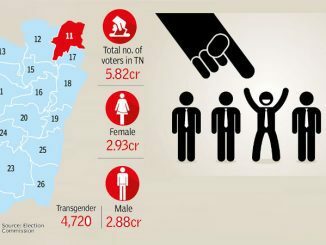 This constituency has always disappointed the AIADMK. There is an influential section of voters belonging to minority communities and North Indians in this constituency. Egmore is known for its old landmark buildings, busy railway hub, and automobile spare parts market.It also has the largest cluster of slum tenements in the city. 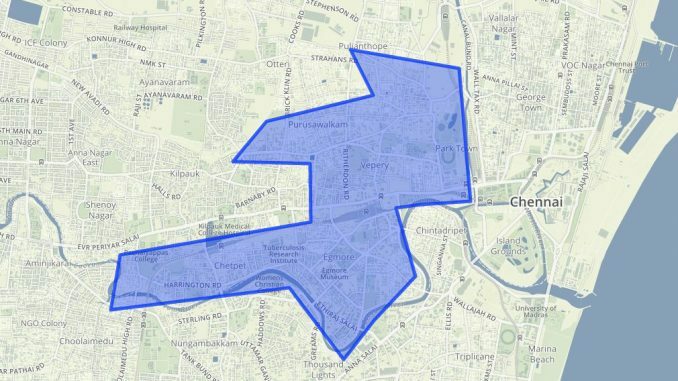 The constituency comprises Dr.Besant Nagar, Thattankulam, Choolai, Park Town, Purasawalkam, Gangadeeswarar Koil, Kilpauk South, Anbazhagan Nagar, Perumalpet , Kannappar Nagar, Dr.Ambedkar Nagar, Chetpet, Egmore, and Pudupet. There are 1,90,949 voters in the constituency. Jayalakshmi I. (Naam Tamilar Katchi) Arun Kumar A. Past elections give a glimpse of the perilous political games played out here. In the 2001 Assembly Elections, John Pandian of Tamizhaga Makkal Munnetra Kazhagam (in alliance with AIADMK) lost to DMK candidate Parithi Ellamvazhuthi by just 86 votes. Mr. Pandian was arrested for an armed attack on Ellamvazhuthi on polling day. After the AIADMK came to power in the 2001 elections, Ellamvazhuthi was arrested on charges for attempt to murder on complaints registered by AIADMK’s polling booth agent. Mr. Pandian was later arrested in a murder case and served jail sentence. In 2011, K. Nallathambi of the DMDK (in alliance with AIADMK) defeated DMK’s four-time MLA Parithi Ellamvazhuthi by a margin of 202 votes. He was among the six DMDK MLAs suspended from the Assembly in 2013 for allegedly attacking DMDK MLA from Radhapuram S. Michael Rayappan,. Paruthi Ellamvaruthi left the DMK due to differences with M.K. Stalin and joined the AIADMK in 2013. He will contest from Egmore which he had represented from 1989 to 2011. The fact that he had scored about half of the total votes in every election since 1984 points to his strong support base in the constituency. DMK has fielded advocate K. S. Ravichandran who is new to assembly polls.He is a lawyer and has recently moved to Egmore. The anti-Dalit stance of BJP on many issues may have an impact on the party’s performance in this reserved constituency. DMDK has fielded its Central Chennai Deputy Secretary T. Prabhu in Egmore. According to sources, the sitting MLA K. Nallathambi who defeated senior leader Parithi Ellamvazhuthi refused to contest again, citing poor financial situations. Despite being the seat of the Corporation Office, the residents of the constituency complain of erratic supply of drinking water and electricity, poor sanitation and traffic congestion. Residents from many areas including Pulianthope and Periamet demand uninterrupted supply of drinking water and electricity. “Building violations and expansion of commercial establishments into residential areas are issues that need regular monitoring. Unregulated commercial activities add to the pollution, traffic congestion, and availability of water and electricity. Political parties and government officials are hand-in-gloves with the offenders,” says a resident from Egmore who wished to remain anonymous. 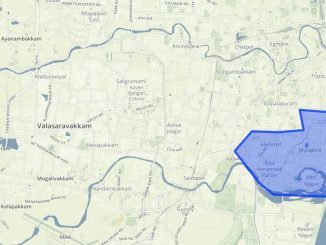 Building violations have been reported in many parts including Purasawalkam and Egmore.